Microsoft is preparing to go public with its first of the annual Windows Blue updates to Windows 8, according to reports. The Verge said the software giant is targeting the release of a public preview this summer, with incremental updates each year on the way. According to the article, one of Microsoft's key goals with Windows Blue is to implement a significantly enhanced search functionality. Thanks to the Bing team users may be able to search for a movie with Windows bringing in results to suggest apps and a quick way to stream the title. 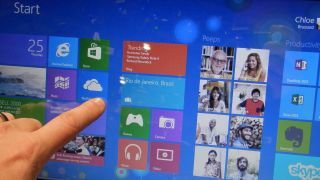 Earlier reports have claimed that Windows Blue will also feature Internet Explorer 11 built directly into the OS. It was also claimed that week that Microsoft had reached 'Milestone 1' in Windows Blue's development, which means the first complete build of the update is now in the bag. The Verge adds that a summer launch will also bring support for new 7 and 8-inch Windows tablets. All that's left now is for Microsoft to officially confirm it is working on the update, which it is yet to do outside of a couple of public job postings.